Lying somewhere between madness and genius in Switzerland lies a small studio, Maximilian Büsser & Friends (MB&F). The don’t make watches as much as artful mechanical entertainment. When they decided to make a driver’s wristwatch a few years back (the HM5), it was unlike anything we’d seen. I called it ‘fit for Starlord’. That’s as may be. Recently however, MB&F revisited that design in a new material, CarboMacrolon. It is a composite utilizing a light anthracite matrix, injected with nanotubes for rigidity. That’s not something we’ve seen before. Expensive to produce, the CarbonMacrolon HM5 is limited to just 66 pieces. Now we have Darth Vader and Starlord all in one. Just a quick refresher on its basic design. The HM5 was inspired by 1970s Italian supercar design. Think Stratos, Bertone HF Zero, and the Miura. It’s hard to argue with with that design influence. The HM5 is long, low, and wide to fit the proportion. The jump-hour movement was sourced from Jean-Francois Mojon and Vincent Boucard of Chronode. 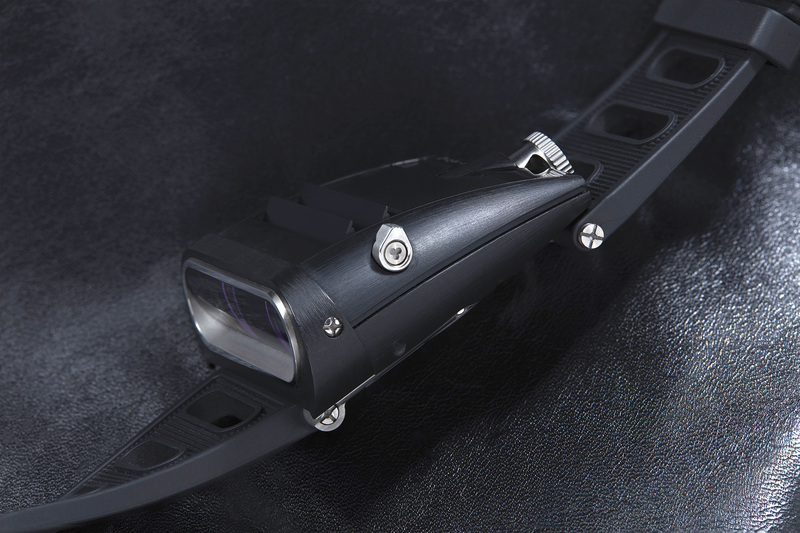 Its display is visible when the wrist is in a steering position, through a series of jumping discs and magnifying glass. The louvres opposing its face open and close to allow light to recharge the lume of each numeral. It’s a design straight out of science fiction. This is the first CarbonMacrolon I’ve seen come up for sale in the secondary market (perhaps I wasn’t paying attention, but nonetheless). Contrapante is offering this example, hardly used, for nearly half off its original sum. Find it here for 34000 USD.